So you just accidentally deleted a batch of files on your USB flash drive? Or the files got hidden or missing for some reasons? Maybe worse yet, your USB couldn't be detected by a computer. Anyway, in this definitive guide here we're going to show you how to recover deleted or lost files, no matter what situation you are facing. To make it easier for you to browse, we break down all types of USB data loss situations into different scenarios, so you can quickly match your situation and find respective fix solutions. Do use the Table of Content below to help yourself navigate. Chapter 1: Accidentally Deleted Files from a Flash Drive? Chapter 2: Formatted USB Flash Drive By Mistake? Chapter 3: All Files and Folders Became Shortcuts in USB Drive? Chapter 4: USB Disk Shows Error Due to Corruption? Chapter 5: USB Drive Can't Be Recognized by a Computer? You may have removed some files from your disk, thinking they would go to the Recycle Bin or Trash. But the fact is those items will bypass the bin. When you delete something from an external drive, it's similar to emptying Recycle Bin or Trash on your computer. But there is still a way to retrieve them. How to recover: the best way is to use a USB data recovery program (as we introduce in Chapter 6 below). Beware that such software only recovers deleted files that are not overwritten yet, meaning you should try to not use your flash drive when you realized some items had gotten deleted. Sometimes you need to free up more disk space, so you just "quick format" the drive without thinking much about the data stored inside. The operation is irreversible meaning there is no such "unformat" function. Fortunately, it's still quite possible to rescue the data. How to recover: once again, by using a USB data recovery software. A quick disk formatting won't erase the data stored inside immediately. In fact, the data will retain intact there for quite a while depending on how large its volume is and how aggressive you generate additional data. Similar to accidental deletion, these formatted files are recoverable only when they are not fully written over. Most likely your flash drive has been infected by certain virus or malware. All the folders and items are now turned into shortcuts, usually a few kilobytes (KBs) in size. This has been a known issue for years, good news is that you can restore your folders and files in a couple of steps. How to fix: we've covered this in another article how to fix file folders become shortcuts, go check it out there. If you plug your USB drive into a computer and click on it, a pop-up window shows "the disk is not formatted, do you want to format it now?" or it says "the drive can't be initiated", chances are that your pen drive is corrupted or crashed. How to fix: refer to this article how to fix usb not formatted error for detailed instructions on recovering your data and making the device work again. There are two mainly reasons for this: file system or device driver issues, or your USB is physically damaged. Either way, you may still be able to make it work again and access the data normally. However, be prepared to spend a bit more time. How to fix: first follow the guide in this MakeUseOf article to update USB drivers or partition it correctly. If you suspect that your flash disk is damaged, watch this video for how to get the files out of a damaged USB stick. Please note: you'll need to rely on a computer to run the recovery software to retrieve your deleted or inaccessible files. And it's not 100% guaranteed that you'll get all your data back, but it's at least worth a try. 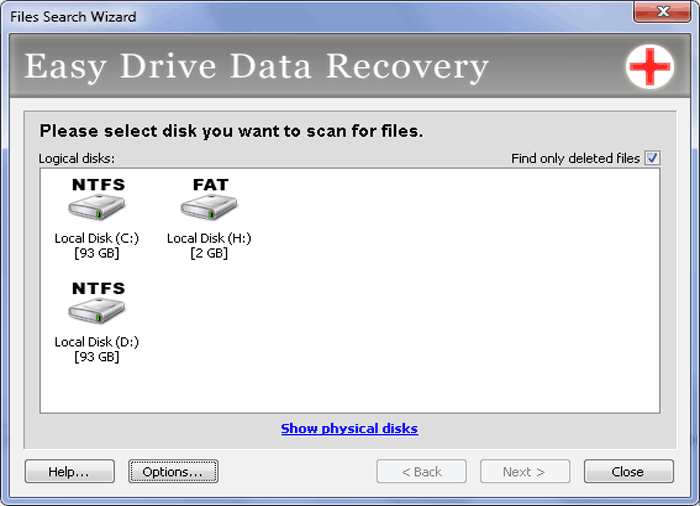 If you are using a Windows PC, try Easy Drive Data Recovery — an incredibly powerful and easy-to-use tool designed by Munsoft dedicated to recovering many types of files deleted or lost from an external disk drive. If you are on a Mac machine (MacBook, iMac, etc. 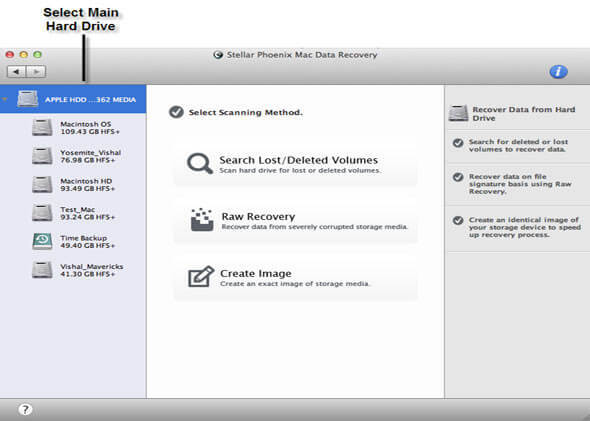 ), get Stellar Phoenix Mac Data Recovery — an app that was originally developed to retrieve data from the internal Macintosh hard drive, but now it also works amazingly well to pull back data from external disks. First off, turn on your computer, open a web browser such as IE, Chrome or Safari. Get a USB recovery program we recommended above and install it on your computer. Now insert your flash drive into the USB port on your computer. Open "This PC" (in Windows) or "Disk Utility" (for Mac) to check and make sure the disk can be recognized. Now launch the recovery software. Follow its instructions on the screen to select the right drive or file types to conduct a scan. The scanning process can take several minutes depending upon your disk volume. When the scan is complete. Preview the found files and recover those items you want. If you've deleted files from USB drive or formatted it, stop using the device right away. Because any additional data writing activities to the disk may overwrite the old files thus decreasing the recovery rate. Always put your flash disk in a safe environment — meaning less possible suffer statics, water damage or physical drop. Backup and backup the data regularly. All digital devices will fail eventually and you never know when that will happen, backup is king to keep your data safe. Try not plug your USB key to a computer that you're not familiar with, especially those in public places. You never know if the computer has a virus or not. While it's super convenient to carry a USB flash drive and access the data whenever we need, it's also prone for the small storage device to go wrong either with human mis-operations or device crash/damage issues. Hope you find this USB data recovery guide useful. Best of all, good luck on recovering your lost items. If you have any further questions or suggestions, leave a comment below and let us know.